Brian Andrew Dunning (born 1965) is an American writer and producer who focuses on science and skepticism. He has hosted a weekly podcast, Skeptoid, since 2006, and he is an author of a series of books on the subject of scientific skepticism, some of which are based on the podcast. Skeptoid has been the recipient of several podcast awards such as the Parsec Award. Dunning has also created the Skeptoid.org spin-off video series, inFact, and The Feeding Tube both available on YouTube. Dunning has produced two educational films on the subject of critical thinking, Here be Dragons in 2008, and Principles of Curiosity in 2017. Dunning co-founded Buylink, a business-to-business service provider, in 1996, and served at the company until 2002. He later became eBay's second biggest affiliate marketer; he has since been convicted of wire fraud through a cookie stuffing scheme. In August 2014, he was sentenced to 15 months in prison, to be followed by three years of supervised release for the company obtaining between $200,000 and $400,000 through wire fraud. In 1996 Dunning co-founded and was chief technology officer for Buylink Corporation. Buylink received venture capital funding from Hummer Winblad Venture Partners. In 2000 he participated in a presentation on Buylink at The Berkeley Entrepreneurs Forum called Bricks to Clicks in the New Internet Reality. He discussed the company on CNNfn's Market Call, in Rhonda Schaffler's Maverick of the Morning segment. In 2002, Dunning left his position as CTO of BuyLink. Between 1997 and 2005 he was technical editor for FileMaker Advisor Magazine, and contributing editor of ISO FileMaker Magazine, 1996–2002, winning one of the FileMaker Excellence Awards at the 2001 FileMaker Developers Conference. Beginning in 2006, Dunning hosted and produced Skeptoid, a weekly audio podcast dedicated "to furthering knowledge by blasting away the widespread pseudosciences that infect popular culture, and replacing them with way cooler reality." He is also the author of the book of the same title and a sequel. Beginning in 2007, Dunning periodically released video episodes of his InFact series. Each episode is under four minutes long and covers issues similar to those explored in more depth in the Skeptoid podcast, but is intended to reach a wider audience due to its brevity and availability on YouTube. In 2008 Dunning produced Here Be Dragons, a free 40 minute video introduction to critical thinking intended for general audiences, and received an award from the Portland Humanist Film Festival for this in November 2011. In 2010 Dunning was awarded the Parsec Award for "Best Fact Behind the Fiction Podcast". In August 2010 he received an award recognizing his contributions in the skeptical field from the Independent Investigations Group (IIG) during its 10th Anniversary Gala. In June 2017 Dunning's second film, Principles of Curiosity, was released. According to Dunning, this "presents a general introduction to the foundations of scientific skepticism and critical thinking... It is nonprofit, noncommercial, and licensed for free public and private screenings. It is provided with free educational materials for teachers, designed for high school through college. It is suitable for all audiences. Its 40-minute runtime should fit into most classes." 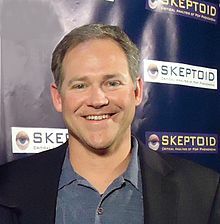 Dunning has written articles for Skepticblog.org, published by The Skeptics Society, and was an executive producer for the unreleased network television pilot The Skeptologists. He is a member of the National Association of Science Writers, and is the "Chancellor" of the non-accredited "Thunderwood College", a parody of unaccredited institutions of higher learning which offer "degrees" in a variety of subjects. In August 2008, eBay filed suit against Dunning, accusing him of defrauding eBay and eBay affiliates in a cookie stuffing scheme for his company, Kessler's Flying Circus. In June 2010, based on the same allegations and following an investigation by the Federal Bureau of Investigation, a grand jury indicted Dunning on charges of wire fraud. On April 15, 2013, in the San Jose, California, U.S. District Court, as part of a plea agreement, Dunning pleaded guilty to wire fraud. From an agreement of the parties, the eBay civil suit was dismissed in May 2014 and Dunning was sentenced in August 2014 to fifteen months in prison for the company receiving between $200,000 and $400,000 in fraudulent commissions from eBay. Skeptoid is Dunning's weekly podcast. The show follows an audio essay format, and is dedicated to the critical examination of pseudoscience and the paranormal. In May 2012, Skeptoid Media became a 501(c)(3) educational nonprofit. Along with similarly themed Point of Inquiry, Skepticality: The Official Podcast of Skeptic Magazine, and The Skeptics' Guide to the Universe, it is listed on an iTunes (US) web page of popular science and medicine podcasts. In May 2014, Skeptoid’s website reported that the podcast had a weekly average of 161,000 downloads. Beginning in 2007, Dunning authored a series of books based upon the Skeptoid podcast episodes. Despite his shift away from the technology industry, Dunning continues to do computer programming, and does web development for his Skeptoid website. Skeptoid was a 2009 Podcast Awards finalist in the Education category. Strapping Young Lads (1 ed.). Xlibris Corp. 2001. p. 272. ISBN 978-1401011680. Strapping Young Lads (2 ed.). Thunderwood Press. 2014. p. 322. ISBN 978-1500854072. Dunning, Brian; Knox, Allyson; Becker, Lori (2003). Special Edition: Using Adobe GoLive 6. Que. p. 650. ISBN 978-0789727275. OCLC 48678473. Skeptoid: Critical Analysis of Pop Phenomena. Thunderwood Press. 2007. p. 213. ISBN 978-1434821669. OCLC 287154998. Skeptoid 2: More Critical Analysis of Pop Phenomena. Skeptoid Media. 2008. p. 265. ISBN 978-1440422850. OCLC 589083050. Skeptoid 3: Pirates, Pyramids, and Papyrus. Skeptoid Media. 2011. p. 314. ISBN 978-1453881187. Skeptoid 4: Astronauts, Aliens, and Ape-Men. Skeptoid Media. 2012. p. 349. ISBN 978-1475205657. Skeptoid 5: Massacres, Monsters, and Miracles. Skeptoid Media. 2013. p. 359. ISBN 978-1492709060. The Secret of the Gypsy Queen (illustrated by Jesse Horn). Skeptoid Media. 2013. p. 32. ISBN 978-1477626238. Here Be Dragons: an Introduction to Critical Thinking (Video). Skeptoid Media. 2008. OCLC 270775142. Principles of Curiosity (Video). Skeptoid Media. 2017. Conspiracies Declassified: The Skeptoid Guide to the Truth Behind the Theories. Adams Media. 2018. p. 256. ISBN 9781507206997. ^ Vincent, Roger (April 19, 2013). "Laguna Niguel man pleads guilty in 'cookie stuffing' scam against EBay". Los Angeles Times. ^ Gerbic, Susan (2017-07-26). "Principles of Curiosity Review - CSI". www.csicop.org. Archived from the original on 2017-07-26. Retrieved 2017-10-28. ^ "Laguna Niguel Man Receives 15-Month Prison Term for Defrauding eBay". fbi.gov/sanfrancisco. Retrieved 22 July 2015. ^ "Buylink Names Robert Honeycutt to CEO Post; Seasoned Executive to Accelerate Buylink's Expansion" (Press release). Business Wire, via The Free Library. November 1, 2000. Retrieved July 7, 2012. ^ "Buylink Closes Series A Venture Capital Funding Led By Hummer Winblad Venture Partners" (Press release). Corporate NewsNet. April 24, 2000. ^ "UC Berkeley Entrepreneurs Forum". UC Berkeley. Retrieved July 24, 2011. ^ "Brian Dunning on CNNfn, for Buylink Video" (YouTube video). inFact with Brian Dunning channel on YouTube. Retrieved May 31, 2014. ^ Christopher Brown (3 April 2011). "MTS : Meet Brian Dunning" (Podcast). Meet the Skeptics!. Retrieved 24 May 2014. ^ "Brian Dunning Software Venture Consultant Technical Editor, FileMaker Advisor magazine". File Maker Addict. December 12, 2005. Retrieved March 14, 2011. ^ "Browse Mode with Brian Dunning". FileMaker Magazine. April 10, 2010. Archived from the original on October 1, 2011. Retrieved March 14, 2011. ^ "Peter Baanen receives FileMaker Pro Excellence Award at FileMaker DevCon 2001". Troi. August 14, 2001. Retrieved March 14, 2011. ^ "Skeptoid: Critical Analysis Podcast". skeptoid.com. OCLC 461308119. Retrieved December 13, 2011. ^ Dunning, Brian. "Welcome to inFactVideo.com". InfactVideo.com. Skeptoid Media. Retrieved 24 June 2017. ^ "Here Be Dragons". 2008. OCLC 270775142. ^ "Portland Humanist Film Festival". Archived from the original on November 9, 2011. Retrieved November 17, 2011. ^ 2010 Parsec Awards (archived version). ^ Dunning, Brian. "Principles of Curiosity". PrinciplesOfCuriosity.com. Skeptoid Media. Retrieved 24 June 2017. ^ Brian, Dunning. "Principles of Curiosity". Youtube.com. Skeptoid Media. Retrieved 24 June 2017. ^ "Skepticblog.org: About Brian Dunning". ^ "National Association of Science Writers". "eBay Inc. v. Digital Point Solutions, Inc. et al". "USA v. Brian Dunning, 5:10-cr-00494-JF" (pdf). Retrieved 2012-11-16. "Case docket: USA v. Dunning". Retrieved 2012-11-16. ^ "Laguna Niguel Man Pleads Guilty to Defrauding eBay" (Press release). Federal Bureau of Investigation, San Francisco Division. 18 April 2013. Retrieved 2013-04-24. ^ "Case5:08-cv-04052-EJD Document246". United States District Court. Retrieved 2014-05-29. ^ "A Message from Brian Dunning". Brian Dunning. Archived from the original on August 9, 2014. Retrieved August 9, 2014. ^ "Case5:10-cr-00494-EJD Document77" (PDF). courtlistener.com. Courtlistener.com. n.d. Retrieved Jan 21, 2018. ^ Dunning, Brian. "A message from Brian". ^ "About Skeptoid". Skeptoid.com. Retrieved May 25, 2012. ^ "Podcasts: Science & Medicine". iTunes Preview. Apple Inc. Retrieved May 31, 2014. ^ "About Skeptoid". Skeptoid.com. Archived from the original on 22 May 2014. ^ Dunning, Brian. "Skeptoid Episode Guide". Skeptoid.com. Skeptoid Media. Retrieved 25 June 2017. ^ "Get the Skeptoid Books". Skeptoid.com. Retrieved 25 June 2017. ^ "Skeptoid : critical analysis of pop phenomena". Worldcat.org. Retrieved 25 June 2017. ^ "Skeptoid 2 : more critical analysis of pop phenomena". Worldcat.org. Retrieved 25 June 2017. ^ "Skeptoid 3: Pirates, Pyramids, and Papyrus". Goodreads.com. Retrieved 25 June 2017. ^ "Skeptoid 4: Astronauts, Aliens, and Ape-Men". Goodreads.com. Retrieved 25 June 2017. ^ "Skeptoid 5: Massacres, Monsters, and Miracles". Goodreads.com. Retrieved 25 June 2017. ^ Dunning, Brian (October 3, 2011). "Reflecting on 5 Years of Skeptoid". Skeptoid.com. Retrieved May 31, 2014. ^ "2009 People's Choice Winners". Podcast Awards. Archived from the original on 2010-01-06. Retrieved 7 July 2012. ^ "2010 Parsec Awards Winners & Finalists". Parsec Awards. Retrieved 7 July 2012. ^ "Wizzard Media Congratulates Skeptoid Podcast" (Press release). Business Wire via .NET Developer's Journal. October 14, 2010. Retrieved 7 July 2012.